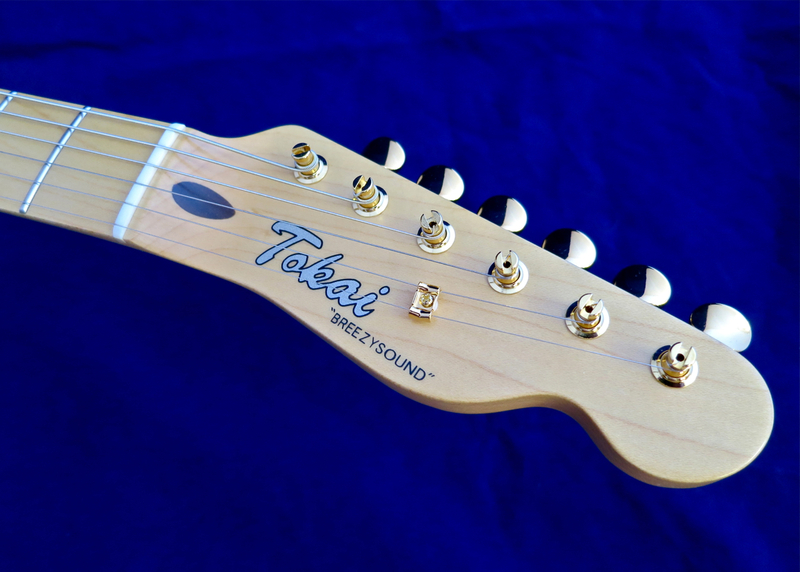 Tokai’s TTE-55 is the company’s newest made-in-Japan Tele-type guitar. The TTE-55 isn’t meant to be a dead-on copy of a Tele from a certain period, but rather something like a Tokai “best-of-vintage-T” model. 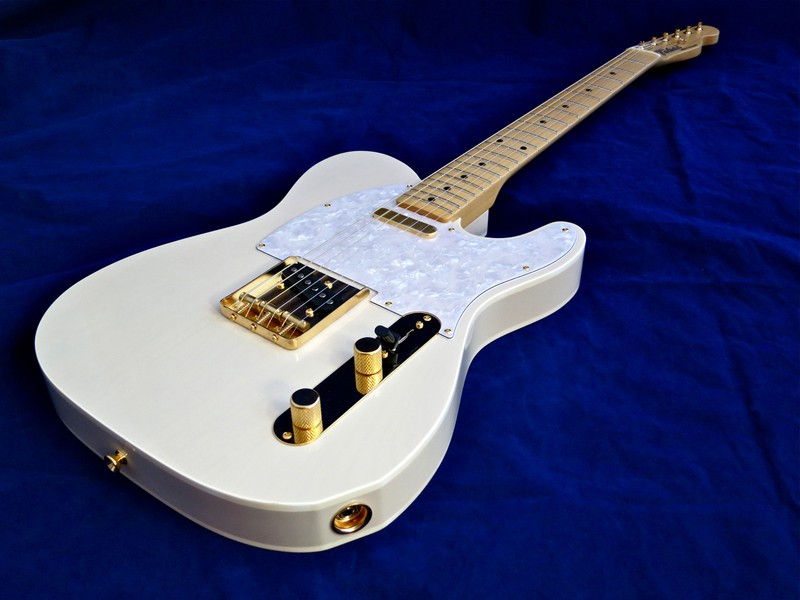 You can get the Tokai TTE-55 (current price in Finland: 848 €) with either a one-piece maple neck – as on our White Blonde review sample – or equipped with a rosewood ‘board. 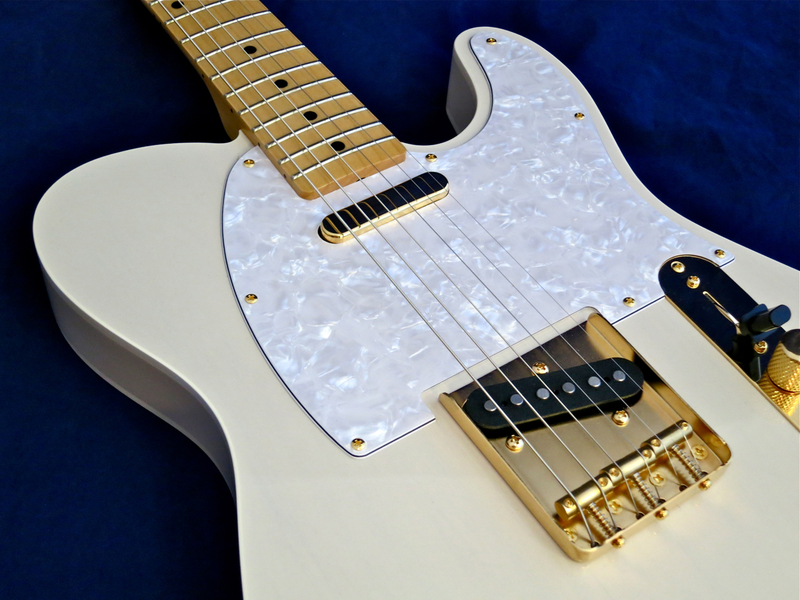 The finish of the hardware is dependent on the body’s colour – in our case here the Tokai sports gold coloured hardware, which embues this Tele with a good dose of Mary Kaye -style panache. 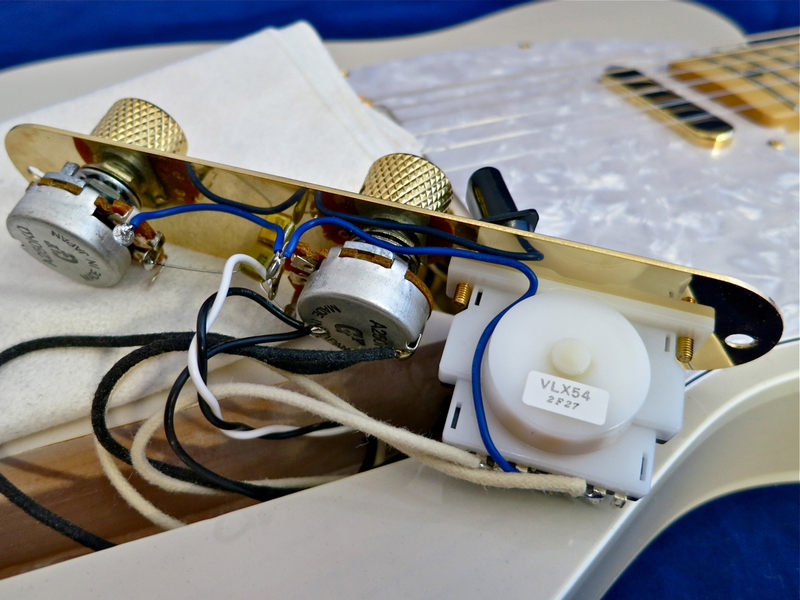 The 1950s-type neck is screwed to a Sixties-type, bound alder body. The fine Kluson-copies have one major advantage over more recent designs: The nifty safety posts prevent any sharp string ends from sticking out.